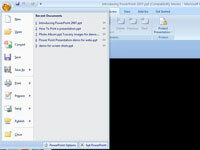 The PowerRoint options drop-down list expands. 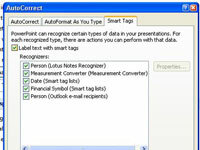 On the Proofing tab of the PowerPoint Options dialog box, click the AutoCorrect Options button. 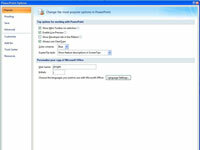 The AutoCorrect dialog box opens. 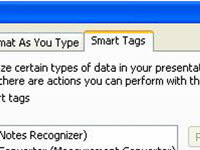 Select the Smart Tags tab. 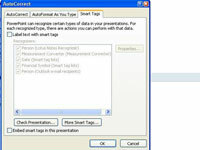 See options for turning off Smart Tags.